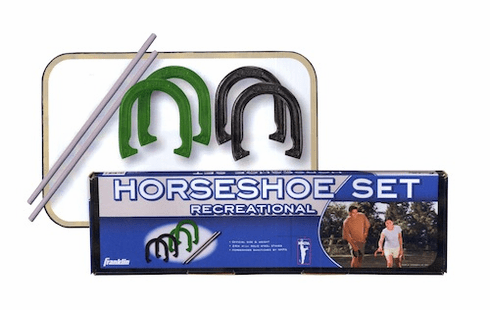 Horseshoes: (4) official size & weight carbon steel horseshoes. Stakes: (2) 24" solid steel stakes. Sanctioned by the National Horseshoe Pitchers Association!